Before starting life drawing, I had a number of basic questions. Since then, I’ve found out some answers and thought it would be useful to share them with you. Finding a life drawing class is easy – click here! There will usually be a naked person – aged anywhere between 20 and 65 years old, male or female and sporting a variety of builds and body types. They’ll be posing in the middle of the room with artists standing or sitting in a wide circle around them with easels or sketch pads on their laps. The atmosphere is usually quiet and tranquil and the people are generally pretty chilled out. Life drawing often becomes quite meditative, so it makes sense that the sessions are relaxed affairs. the class starts with a warm up pose for around 20-30 minutes. Then you’ll practise with quick poses. The model will hold a pose for 2-5 minutes and you’ll do rapid sketches of them. Then the poses get longer and you do one long one (maybe 40-60 minutes at the end). The model can hold more difficult poses when it’s just 2-5 minutes, but for the long poses will have to do something easier. That’s why they’re often sitting or lying down for the long poses. 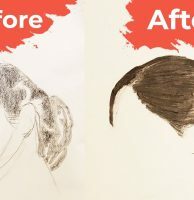 If the class is tutored, then the tutor may have you doing exercises to practise specific skills – for example drawing the figure without looking at the paper at all, or only drawing the negative space around the model. The idea of these exercises is not to produce beautiful work, so you needn’t be worried about getting it ‘right’. The point is that these different ways of practising train your ability to observe the figure. In recent years, there have been more innovations in how life drawing sessions run. I’ve heard of classes with multiple models located around the space, and artists walking around and drawing. Sometimes, the class will be about specific exercises, for example drawing a model that is in constant motion or drawing only the negative space around the pose – there’s a lot of potential variations designed to broaden your drawing horizons. Just recently, we went to a life drawing session held in an actual skip – check it out. 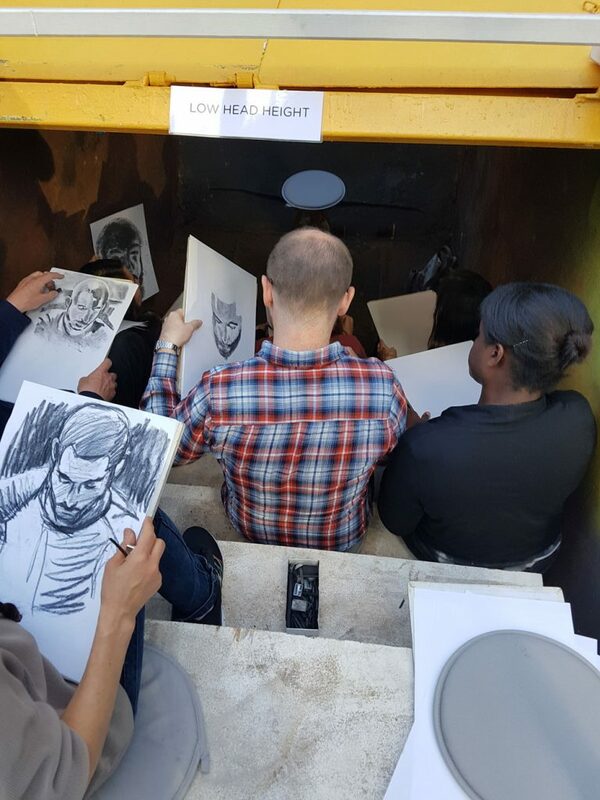 Life drawing sessions can happen … in a skip! What if I’m rubbish at drawing? I was definitely concerned that my drawings would be rubbish before my first class. But of course, you’re not supposed to be great at something during the first class. That’s why the class is useful – because you improve! In other words, if you feel your drawings aren’t good, then you are exactly who the life drawing class is for. Life drawing classes don’t really involve too much judgement from your peers anyway. You don’t have to show your drawings to anyone except maybe the teacher if you don’t want to. Instead of worrying about where your drawing level is, you should only concern yourself with your trajectory. Whether you did well in the class depends on whether you learned something. 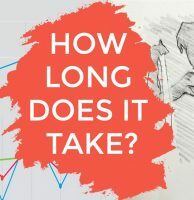 As a beginner, you will learn and improve every time you observe a figure and every time you make marks on the page, so your trajectory is all good as long as you show up. It’s actually harder for the drawing experts to ensure their life drawing sessions are successful. Yes, they might do some great drawings, but if they didn’t learn much, it’s not a very successful class for them. 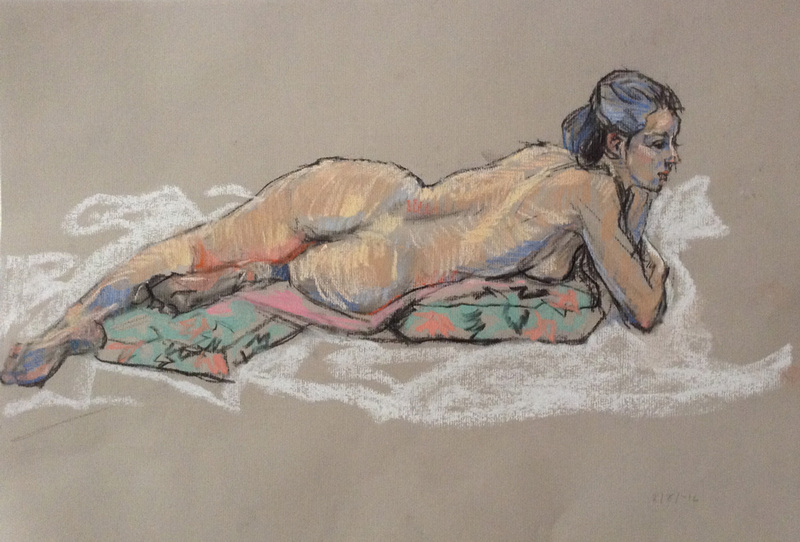 Pastel drawing of a woman lying down by Mayko. Don’t worry if you can’t draw like this yet – everyone understands that it is a journey to learn to draw, and most people are happy to see people at all stages of that journey. What to expect from the teacher? So far, I’ve found that it’s great to have a good life drawing teacher, but not essential. They generally walk around and whisper some one-to-one advice to you for a few minutes (life drawing is often quiet!) and then move on to the next student. Their advice can be really useful, but the contact is short and really you learn from practice, trial and error and techniques from books – or our wonderful online course. Having said that, at the class I’m going to currently, at the University of London Union (you don’t have to be a student to join), the teacher is brilliant at giving you great tips in the few minutes of contact time he has with you, and this really improves the class. The teacher will also decide on poses and duration of each pose, and a good one will have you warm up with quick poses where you do a quick drawing. Check out this full guide to life drawing equipment. The basic life drawing starter kit would include some decent pencils or sticks of willow charcoal, a rubber, some paper – preferably at least A3, and a sharpener. You needn’t worry too much about the quality of the paper you use in your first sessions. More important is to not go with a small size paper (A4 is quite small for drawing). Bring something a bit larger, and draw big on it – it might be a little uncomfortable at first but is a great habit to get into. We would suggest going with willow charcoal rather than pencil if you can. If not, pencil is fine too! Often the class will provide a board or something so you have a hard surface to draw on. Ideally, they’ll even have easels. If you’re unsure what they’ll provide, it’s a good idea to bring a board or use a sketchpad supported with good solid card. What if there’s no classes near me? If there aren’t any classes near you, then you might be able to hire a model or get a friend to pose for you. Remember that a life drawing model doesn’t necessarily have to be naked, if your friends don’t want to get their kit off for you. Some artists feel that drawing from 2D images will result in flat and lifeless pictures. However, using photo references is effective practice when a live model isn’t available. Just be sure to also draw from life when you can. See this article for some online resources for reference photos and videos. How do I know if I’ve found a good class? 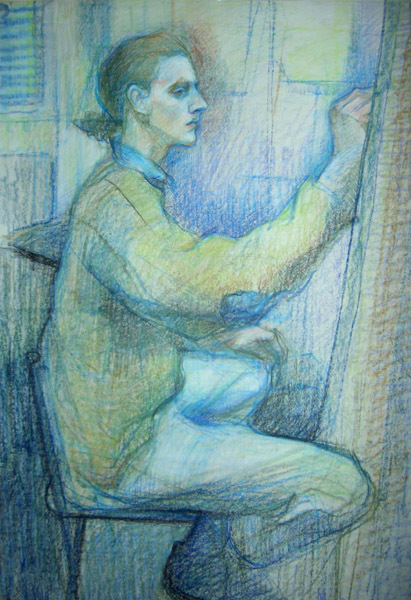 The bare essentials for a life drawing class is that a suitably spacious venue is hired for 2-3 hours and a model is hired that is able to maintain a pose for a long time, with decent lighting. It can take a little time to warm up for life drawing, and once you’re in your groove you want to keep going for a while. So much less than 2 hours won’t be very satisfying. One sometimes annoying thing that can happen during life drawing is that the model moves such that you need to keep altering your drawing. Rubbing out marks all over the page don’t look great! You can learn to make the most of it though – retaining some of the history of the pose in your marks by not trying to erase every line that you had to redraw can make for a fun and dynamic drawing. A moving model isn’t usually the fault of the life drawing organiser. But if you have a few hours and a still model, then you’ve got the ingredients for a decent life drawing session. Isn’t it weird looking at a naked person for ages? Not at all, because of the context. A naked person on the bus would be strange. A naked person at a life drawing class is expected and accepted. It’s clear why they are naked – drawing practice – and that isn’t anything to be embarrassed about. It might be strange if there was something sexual about it, but it’s not like that at all (though while researching for this website I’ve seen a lot of references to ‘life drawing hen parties’ which might be a different story!). You are there to draw the human body – it’s one of the best things to do to practise your drawing because we are so familiar with the human body and it’s one of the most difficult and most interesting things we can draw. To build a solid foundation of life drawing skills that will accelerate your progress as you practise, have a look at our free online course and for regular tips and bits of motivation sign up to our figure drawing email newsletter below. I found this article really interesting but there are differences out there. 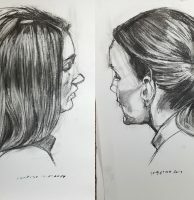 The class I go to in Glasgow each week for two hours is un-tutored, they have great music pumping out and they have three models on the go for the (approximately) 60 artists who turn up. It’s anything but quiet and clinical and the models start off with the short 5 minute poses followed by 10 then 15 or 20 minute poses. It’s great! Where in glasgow do you do this? thanks for your comment! It’s great to hear about other types of life drawing class, and it’ll be useful for new students to hear about different types of class. Your session sounds very lively and energetic. Do you find that the drawings come out different when you go to this session compared to quieter ones? Maybe freer and more dynamic? In a way. I used to go to weekly untutored sessions in Paisley where there was one model and between 3 and 12 artists. It was dead quiet, just pencils scratching and the model always asked what was required in terms of type of pose and length of pose. We used to start off with 3 or 4 five minute poses then a couple of 20s followed by a break then either one 40 or two 20 minute poses for the second bit. I used an easel with A3 paper on a board and always sat. Unfortunately the Paisley sessions have finished now (Council funding cuts) so I go to The Flying Duck pub in Glasgow where, on a Tuesday night for two hours they have life drawing in the function room. The atmosphere is totally different. An eclectic range of music is pumping out and there’s three models at different places within the room. It’s normally one male and two female but they organise one model to do the short poses to start with and the others to do longer ones. None are normally longer than 20 minutes. After an hour there’s a 20 minute break then for the last 40 minutes the models change areas. Most people sit but there are a lot of standing artists and people tend to wander round if they don’t like a pose or prefer a different model. For that reason I use an A4 hard-backed sketchbook with a small home made pencil holder clipped to it that holds a couple of pencils, an eraser, brush and paper stick for shading. I think the drawings are different because of the differences between a board and sketchbook but when i look at them the style is broadly the same. I also like to focus on one section of the model’s anatomy (normally head, hands or feet) because that’s good practice and you don’t have to draw the whole figure. Thank you Andrew – this is such fantastic information! Hi Davina, you can certainly go to life drawing class if you are in sixth form. I think in my school the art A level students had life drawing classes during sixth form in fact. Can you clarify what insurance is required to run a life drawing class please?